Why Should You Use Weapon Mods? The answer to the question is a fairly simple – it allows weapons to be made much more powerful than their base statistics, giving them more stopping power. They can also improve weapons to such a degree that they rival the unique weapons in power and usefulness. It also gives players the capability to specialize a weapon more towards their own style of play. Installing 20 or more weapon mods also grants the player a trophy or achievement, which may be a big draw for some of you. In Fallout: New Vegas, weapon mods can be found in a number of places. 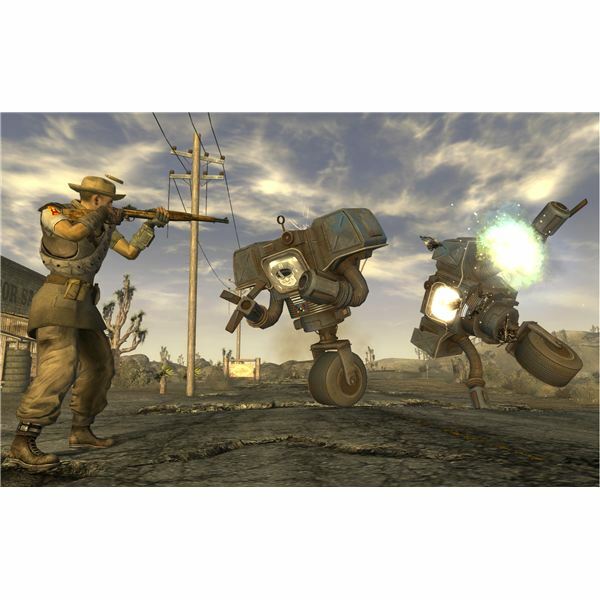 The most popular place to pick them up is at the Gun Runners' stall, just outside of New Vegas, which has a huge range of different mods to choose from. Silver Rush also has a lot of mods for energy weapons, as you may expect. Other than this, the best way to find weapon modifiers is to simply check out what the different merchants around the game have for sale. Unfortunately, they can be rather expensive towards the start of the game, making them only useful to players as they progress into the later stages. While there isn’t room in this article to go through specific locations of every single mod, each one can usually be found in several different places. Weapon mods are fairly easy to use. Once you have both the weapon and the modification with which you wish to fit it, the steps are simple. Open up the Pip-Boy 3000 to the Inventory section. Highlight the weapon you wish to apply a mod to. On return to the inventory, the weapon will now have a + next to it, indicating that it is now an improved weapon. It will also have a different physical appearance depending on which mod has been applied. Modifications also permanently increase the value of the weapon they are applied to, and this increase of value applies even if the weapon is broken at the time. While it might seem as though applying every mod to every weapon would be a good idea, it requires a bit more thought than this. While most mods certainly bestow a large amount of benefits on the user, some also have drawbacks. Therefore, it's imperative to consider what purpose the weapon is serving before applying a mod to it. For example, applying a scope to a weapon may make it easier to be accurate at longer ranges, but it makes it more difficult to aim when up close to the enemy. Hand-fed weapons like the Cowboy Repeater will take longer to reload with an extended magazine, and while the reload animation can be interrupted in a firefight, it means that players must be away from combat to take full advantage of the extended magazine size. In addition to this, having modifications on a weapon makes it more expensive to repair. There is a vast array of different modifications available, each having a different effect on the weapon. While each type of mod is unique with each type of weapon, there are a number of main mod types, which might go by different names, but have the same effect. Note: Not every mod type is available for every weapon. Extended Mag Mods: These mods allow a greater capacity for a single magazine for a weapon. The laser recycler, which gives a player a free shot every 4th shot, is also included in this group. A particularly useful weapon to apply this mod to is the Light Machine Gun. Regularly having a magazine size of 90, with the light drum mod this figure more than doubles to 200. Silencers: Decreases the amount of noise made by the discharge of a weapon, increasing a player’s ability to stay hidden while using their weapon. For players with a high Sneak, usage of a silencer can allow targets to be neutralized without ever detecting the player, which prevents infamy from being gained with the faction or settlement. Damage-increasing Mods: Only available for a very small amount of weapons, but certainly a good investment to make, due to no drawbacks to these type of mods. Scopes: By installing a scope on their weapons, players may find it easier to hit targets at a longer range. However, long range scopes can make it very difficult to aim at close ranges. 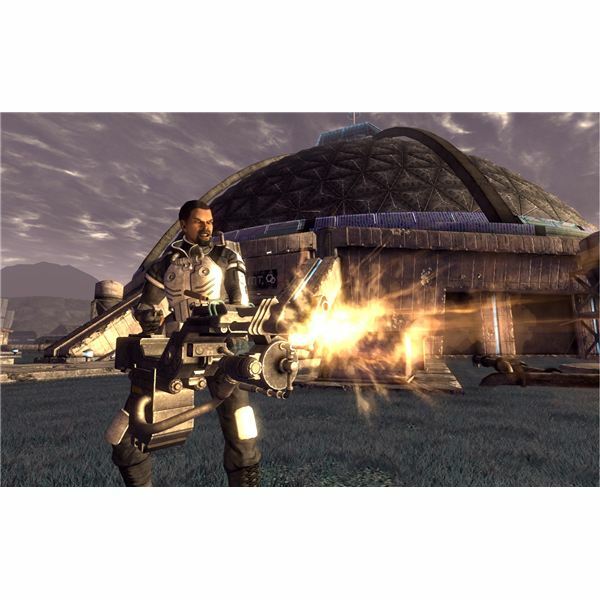 Rate of Fire Mods: With the inclusion of light bolts, high speed motors and other such modifications, players are able to fire automatic weapons at a higher rate of fire. Spread-Decreasing Mods: By decreasing the spread of a weapon, it becomes easier to hit a target while firing bursts. For players looking at using weapons like SMGs or shotguns over longer ranges, this mod can be a handy upgrade. Weight Reduction: Reducing the weight of a weapon makes room in a player’s inventory for more items. The most effective weight reduction mod turns the Fat Man nuke launcher into a Little Boy, which halves the weight of the launcher. This article series outlines the best mods for Fallout New Vegas.